In a city where food fads come and go faster than you can say “rainbow bagels,” there’s something to be said about the iconic staples that have survived the test of time. There may be plenty of places where you can pick up a slice of pizza or a hot dog in the city, but there’s often only one neighborhood that can stake claim as the ultimate spot to enjoy a specific food -- either because it originated or was perfected there. And let’s face it: You needed an excuse to scope out that far-away ‘hood you wouldn’t have otherwise explored anyway. From soup dumplings in Flushing to pastrami sandwiches on the LES, these are the foods that continue to define NYC’s neighborhoods. Xiao long bao (aka XLB, or soup dumplings) literally translates to “small basket buns” (thanks to the bamboo baskets they’re steamed in). The pleated dough pockets -- which get filled with pork or seafood (or both) and a spoonful of hot, savory broth -- first appeared around 1875 in Nanxiang, a village on the outskirts of Shanghai, before making their way to Taiwan. But their cult status in New York is largely a result of the OG Joe’s Shanghai in Flushing Queens, which opened in 1995 (followed by two locations in Manhattan) and still serves some of the best soup dumplings you’ll find in NYC. 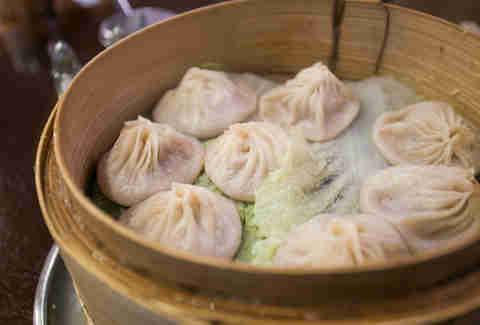 One of the fastest-growing Asian-American neighborhoods in the US, Flushing is also home to other worthy dumpling dealers, including Nan Xiang Xiao Long Bao, Shanghai Cuisine 33, and Kung Fu Xiao Long Bao. Fried chicken might leave a sweet taste in your mouth now, but the food has a rather dark past. The slave trade brought Africans to work on Southern plantations in the US, and with them came a flavor-packed fried chicken recipe. The comfort food and its cooking practices eventually made its way north by African-Americans during the Great Migration. 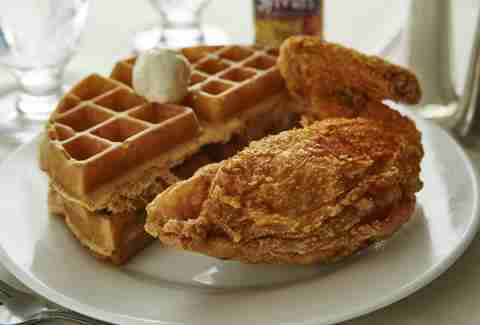 Since then, neighborhoods like Harlem have become hot spots for the crispy bird. At Amy Ruth’s, diners get a choice of dark or white meat (and the add-on option of a waffle -- do it), while Sylvia’s, which was founded in 1962, still serves up a delicious plate of fried chicken after all these years. Before there was Nathan, there was Charles. Though historians argue about the exact origin of hot dogs in NYC, many attribute its beginning to a man named Charles Feltman, who was allegedly the first to serve pork sausages inside milk rolls, which he sold to Coney Island beachgoers in the late 19th century. After that, Feltman went on to open a complex with several restaurants, bars, a beer garden, and other attractions -- but it didn’t last forever. Nathan Handwerker, a Polish immigrant, got a gig slicing bread at Feltman’s, and soon opened his own competing hot dog stand, selling them for a half the price (a nickel instead of a dime). 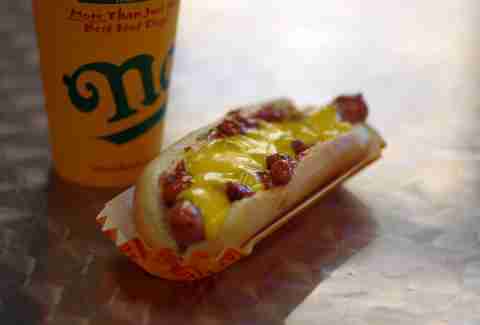 Fast-forward to today, and Nathan’s Famous has evolved into the go-to spot for cheap, no-frills hot dogs and cheese fries on the Coney Island boardwalk. Still, that didn’t stop Feltman’s from making a triumphant return this year, after closing its original Coney Island location over 60 years ago. Manhattan’s Chinatown holds the title for being one of the largest enclaves of Chinese people in the Western Hemisphere, so you know the food you’ll get here is legit. Which brings us to Peking duck, a crispy-on-the-outside, juicy-on-the-inside Chinese specialty that has made its rounds, from the Yuan Dynasty more than 1,000 years ago to Manhattan’s Chinatown today. Traditionally, ducks bred for the dish are slaughtered after 65 days, seasoned, and hung to dry for hours before being roasted. Post-roast, the burnished bird is sliced in front of diners and served with spring onions, cucumbers, sauce, and delicate pancakes meant for rolling it all up. 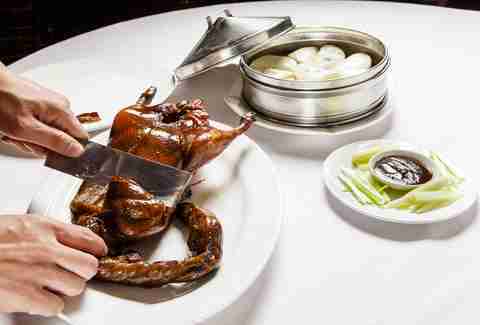 At Peking Duck House on Mott Street, waiters will ferry the whole shebang to your table and carve it for you. Jing Fong, which has been around for nearly four decades, is another neighborhood winner. 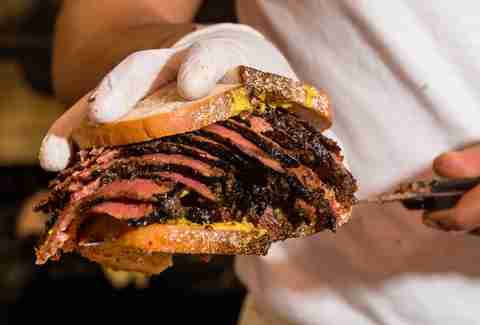 Pastrami is king of New York’s deli meats, and it’s all courtesy of a guy named Sussman Volk. Volk, who immigrated from Lithuania, opened a small butcher shop in the Lower East Side in the late 1800s and forged a friendship with a Romanian immigrant, who ended up giving him his pastrami recipe. Volk shared the love and sold the pastrami to his customers, which led him to opening a deli on Delancey Street in 1888, where he served the meat on rye. Katz’s Delicatessen, now an NYC institution, came shortly after, and has been holding down the (LES) fort since. A healthy mix of tourists and locals filter in and out every day, from early in the morning into the wee hours of the night on Fridays and Saturdays. Take your ticket when you walk in, order at the counter, and await your cafeteria-style tray outfitted with a piled-high sandwich. 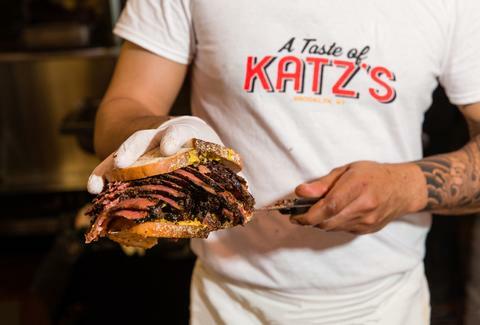 The key to Katz’s is the combo of spice rub and wood chips used in the smoking process. Between dollar slice joints and old-school family-owned spots, there’s no shortage of pizza places in New York. But the NYC staple was born in Little Italy. In the 1880s, Italian immigrants flooded into the area, and in 1905, Gennaro Lombardi started selling pizza (for a nickel a pie!) from his grocery store on Spring Street. Inspired by the pies of Naples, Lombardi’s initial recipe was reportedly passed down through generations and modified using different cooking techniques. (Wood-fired ovens were swapped with coal-powered ovens, for starters.) 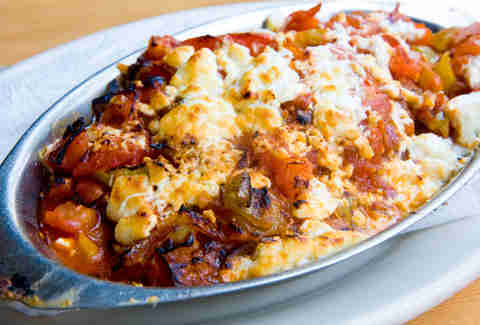 The crust is thin and crunchy, and topped with a tangy tomato sauce and plenty of fresh mozzarella. It remains an institution today, catering to its fair share of tourists and locals, though other worthy establishments, like Rubirosa, have been added to the neighborhood too. Jackson Heights is among the most ethnically diverse neighborhoods in New York City, with large numbers of the population hailing from Colombia, Pakistan, Tibet, Nepal, Bangladesh, and India. (As of 2010, the neighborhood was composed of more than 60% foreign-born residents.) The latter group, specifically, has its own little enclave (dubbed Little India) on 74th Street between Roosevelt and 37th Avenues. You’ll know you’ve arrived when you’re surrounded by sari shops, Indian grocery stores, and authentic eateries like Jackson Diner, which opened in the early 1980s. And don’t let the name deter you -- you won’t see grilled cheeses and omelets here. Instead, you’ll find flavorful curries and the restaurant’s signature all-you-can-eat buffet brunch, which gets you unlimited access to curry, in addition to other popular plates like tandoori chicken, biryani, kebabs, and naan. 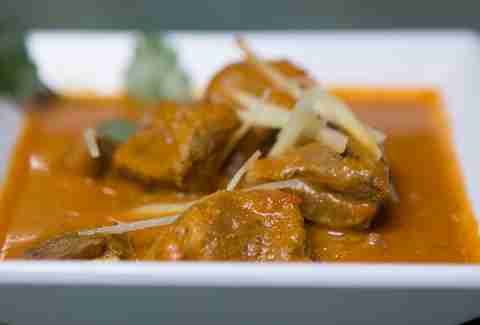 Should you want even more, Delhi Heights also offers a variety of options, from chicken to goat to fish. Falling within the Belmont section of NYC’s northernmost borough, Arthur Avenue is often referred to as the Little Italy of the Bronx, due to its Italian immigrant roots that can be traced back to the 1950s. Since then, generations of Italian families have helped maintain its old-school charm, with traditional restaurants, pizzerias, meat and fish markets, and bakeries -- some of which have been around for decades. Though the area is a one-stop shop for all Boot-related foods (fresh cheese, sausages and other cured meats, imported goods like balsamic vinegar, and desserts), it’s the red sauce pasta -- often served family-style -- that draws tourists and locals alike. 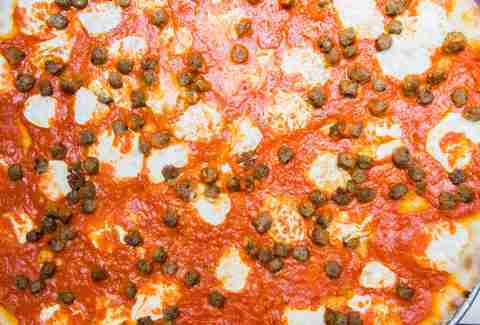 Opt for old-timers like Dominick’s (look for the insanely-good lasagna or baked ziti) or the over 90-year-old Mario’s (go for the red sauce-slathered spaghetti). 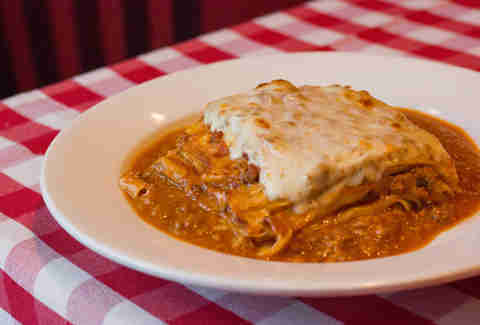 Or, head to newer-to-the-scene establishments like Tra Di Noi, which serves a stellar meat-slathered lasagna. Midtown Manhattan is generally associated with fast-casual chains for office lunch breaks, but Koreatown, located on the west side, is a strong exception. In the early 1980s, Korean immigrants opened restaurants and stores in the area (now often referred to as K-Town by locals). Since then, many Korean New Yorkers have relocated to outer-borough neighborhoods like Bayside, but the Manhattan area remains a hotbed for Korean culture -- karaoke bars and Korean BBQ joints included. 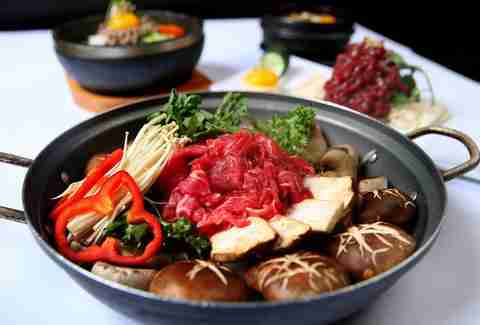 In particular, the ‘hood has gained quite a rep for its bibimbap, a bowl of warm white rice topped with sautéed veggies (cucumber, zucchini, mushrooms, and soybean sprouts), sliced beef, soy sauce, gochujang (chili pepper taste), and a fried egg. Try it for yourself at Madangsui, Seoul Garden, and The Kunjip, each of which offers a tasty variation on the traditional feast. Roll passed Manhattan on the uptown N or R train, and you’ll wind up in Astoria. The Queens neighborhood is home to a hodgepodge of cultures (Middle Eastern, Balkan, Italian, and Greek, to name a few), but among the international cuisines worth making the schlep for is the neighborhood’s Greek food. That’s mainly thanks to the large influx of Greek people who settled here in the 1960s; their cultural influence can be uncovered in numerous restaurants, bakeries, and cafes throughout. While you’ll find plenty of spanakopita, the neighborhood’s Greek scene is best known for its grilled fish, prepared with simple, high-quality ingredients. At Taverna Kyclades, go for the fresh whole fish (red snapper, dressed in lemon and olive oil, is a standout) with a side of the lemony potatoes. Astoria Seafood, a half-fish market half-restaurant that has been owned by the same Greek family for several generations, is also worth a visit. Scope out the day’s fresh catch, grab a plastic bag, and take your pick -- red snapper is always a win, but sea bass and salmon will please as well. After that, hand it over to be cooked just the way you like it. 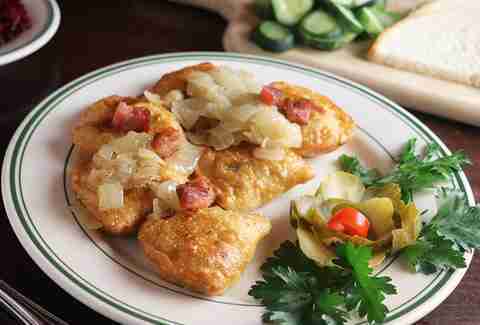 Pierogi, semi-circular dough pockets stuffed with fillings like potatoes, sauerkraut, meat, and cheese, are a Polish diet staple. They’re typically boiled (though sometimes fried) before being served with toppings like butter, sour cream, or fried onion. While the exact origins of these hearty dumplings are up for debate, the general consensus is that they made their US debut during the late 1920s in Cleveland. In NYC, Greenpoint is as close as it gets to a true Polish community. Known as Little Poland, the neighborhood has stood its ground -- with traditional bakeries, delis, and restaurants lining Manhattan Avenue -- despite the influx of gentrifiers in the last several years. To get your pierogi fill, hit up Krolewskie Jadlo, which proves its translation (King’s Feast) with medieval armor, swords, and tasty pierogi that will inspire repeat visits. Karczma and Christina’s offer authentic takes as well. Alisha Prakash is a writer and editor based in New York City and believes pierogi should be their own food group. Follow more of her musings on Twitter: @alishasays.